If you look at any of the most popular business process improvement methodologies, you’ll find that data visualization is a common theme. Kanban, for example, is focused on visualizing workflow. Fishbone diagrams are often used to uncover cause and effect and histograms are used by Six Sigma practitioners and others. We’d like to introduce you to one more tool that can play an important role in the quest for continuous improvement, mind mapping. Mind mapping is a technique for visualizing connections between many related ideas or pieces of information. A non-linear, graphical layout is used to create a web of relationships around a central concept, idea, or problem. Although probably much older, the idea gained popularity following a 1972 book by UK researcher, Tony Buzan called, “Use Your Head.” The technique is used in brainstorming, problem solving, project planning, and note taking. Mind maps take the form of a tree, starting with a core thought (the trunk) and connecting it to related ideas, big (branches), and small (twigs). Images and colored connections are used whenever possible to make the visualization more meaningful. Why is Mind Mapping Useful? The human brain does not operate in a linear fashion; instead, it employs "radiant thinking." Think about when you see someone you know. You don’t recall, in order, every fact you know about that person. Instead, you instantly make the thousands of associations that form the experience of being near him. Mind mapping frees the brain to leverage this radiant thinking and allows room for out-of-order, out-of-proportion thoughts to be captured and then stitched back into the tapestry of the whole thought. 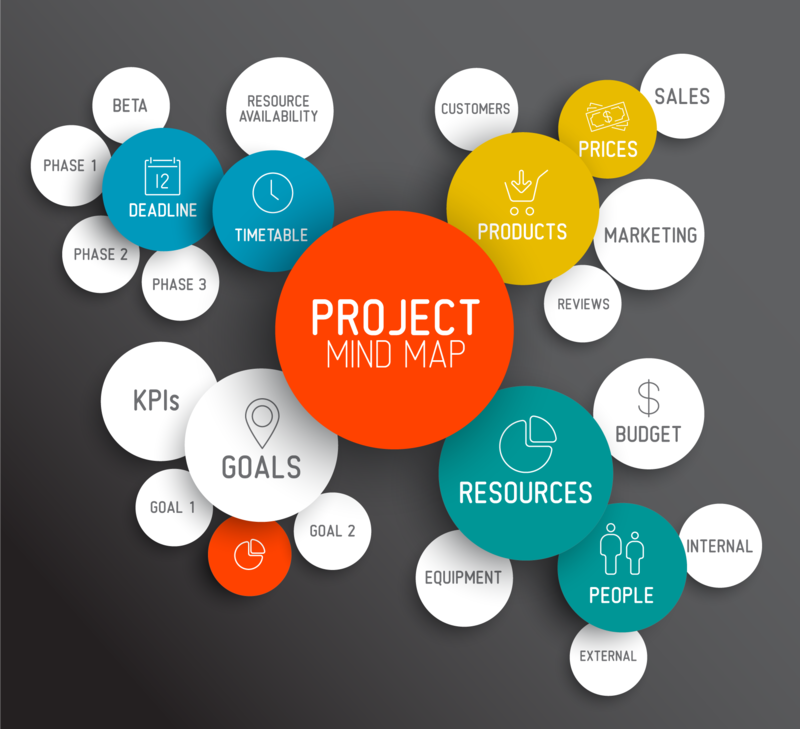 How is Mind Mapping Helpful for Continuous Improvement? Mind mapping can be uniquely helpful for individuals or teams that are brainstorming ideas for improvement. The visual structure makes gaps in information quickly apparent and relationships between ideas clear. The technique can be applied anytime fresh thinking is needed and works well for process development, product improvement, customer experience assessment or any other opportunity for improvement. Tony Buzan has called mind maps the “metadata of the human race.” That’s an interesting way of thinking about how powerful and ally they can be in the quest for improvement. All you need is a blank piece of paper and some pencils (preferably colored) - so why not give it a shot? For more information about daily management, check out our free upcoming webinar!